For the past 8 months, I have been introduced to and have used many Web 2.0 Tools – personally, with my staff and school, and with my students. I would like to briefly share some of the Web 2.0 tools I have used the most this year. 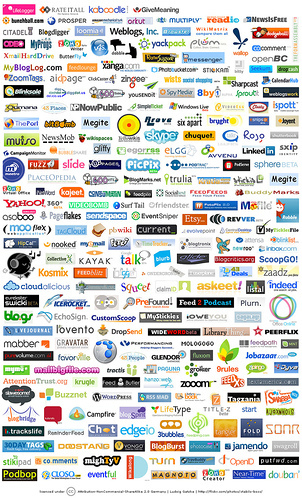 This is a very brief list of an endless amount of Web 2.0 Tools that you can use! WordPress – This is the blogging platform I use for this blog. I am considering getting my own domain name through WordPress now. I figure I’ve done it for this long, I will likely continue so perhaps, I should have my own domain. Hmmmm… While you can embed photos easily, you are not able to embed video unless you pay for that particular service. Posterous – I use a posterous site for our school Success Blog. You can visit it here. This is a very easy blogging tool to use. It really is as easy as sending an email to submit each blog post. You can read more about it on a blog I wrote about it here. You can embed video and photos easily. Wikispaces – Wikispaces are easy to use. I have made a number of them: one for the classes I teach, one for a Study group of Vice-Principals (this is private), and another I co-created with another Vice-Principal in my district, James Hogan. (@SurreyConnectVP) titled, Transforming Student Learning. While I am not thrilled by the lack of themes and lack of design of the wikispaces sites, they are easy to use and work well. You can also embed video which I really like. It is also nice that you can have co-contributors to this site as well. Edmodo – This is a great collaboration tool to use with students and their parents. Everything is password protected, if that is something you are concerned about. Teachers can post assignments and students can hand in assignments in Edmodo as well. There is a chat platform as well, which students enjoy. Edmodo looks and acts very similar to Facebook (except students can not send private messages to each other). Steven Anderson, from Blogging About the Web 2.0 Classroom, recently wrote about Edmodo here and why you should give it a try. KidBlog – Blogs to create for student use. I am able to moderate all blog posts created by the students and any comments left on their blogs. This is very useful. Diigo – This is a web-based social bookmarking site that allows you to access your bookmarks from anywhere. You can add a little ‘Diigolet’ to your menu bar at the top of any computer or mobile device – even your iPad! Here’s a link to view instructions on how you can do this on your iPad. When you click on the Diigolet, another menu bar pops up, allowing you to do a number of things: save bookmark, highlight, annotate, and other actions. When you bookmark a site, you can add multiple tags. These tags allow you to organize, search, and quickly find particular bookmarks. This is a social bookmarking site which allows you follow people and search other people’s bookmarks as well. I use this tool every day. It really saves me a great deal of time when looking for bookmarks on a particular topic. Glogster – This is a great tool for creating online posters. You can embed videos, photos, text, etc… It is very easy to use. Here is a sample of one I created for my staff as our Weekly Newsletter. Scroll down to the Bear Necessities Memo. GoogleReader – I used to use GoogleReader all the time to follow blogs. Blogs are easily added to GoogleReader. When looking at my Google Reader account, I can easily see which blogs have been recently updated and then I can read the updated posts instead of going through all my bookmarks one at a time to see if bloggers have posted anything new or not. In addition, GoogleReader allowed me to easily follow blogs without ‘following’ a blog and receiving emails when new content was added to the blog. This cuts down on emails as well. Now, I mentioned that I ‘used’ to use this a lot. I don’t often go to my GoogleReader page any longer. Instead, I use the Flipboard app on my iPad to follow blogs. You can use the Flipboard app to follow individual blogs or you can also use it to read your GoogleReader. It allows for easy reading in a magazine-style format. I highly recommend this tool (oh, and it’s FREE). Livebinders – Livebinders are a great way to organize your material and/or organize material for others. They are social, in that you can share your livebinders with others. There really are livebinders for just about every education topic you could think of. Prezi – This is a very cool presentation tool that zooms in and out. This can be used by students, teachers, and administrators. Some of my Grade 5 students chose to do a presentation with Prezi. If you are looking for some other great Web 2.0 tools, this is a great wiki that has countless Web 2.0 Tools to use at your school: Cool Tools for Schools. You can also visit my post about On Becoming a Teacher/Administrator 2.0 for ideas of how to get started. Here is another post from the archives about some Web 2.0 Tools. And another post. And another. And my post on Pinterest. 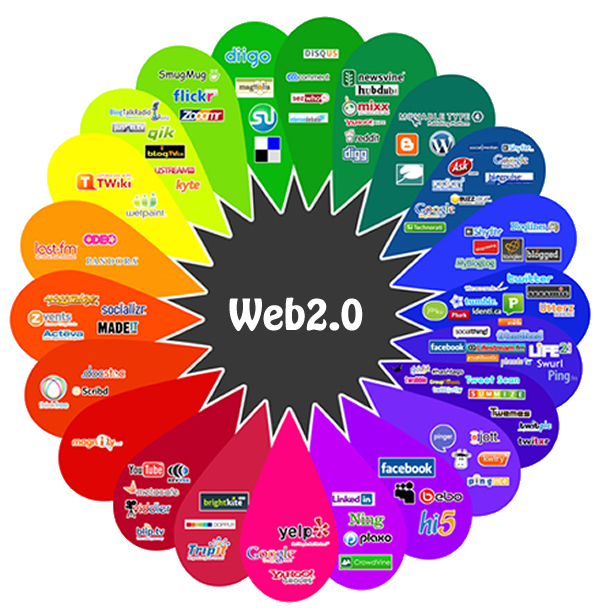 If you are a teacher, what is your favourite Web 2.0 tool to use with students? If you are an administrator, what is your favourite Web 2.0 tool to use with your staff? This entry was posted in Collaboration, Lessons Learned, Technology and tagged administrators, engaging, fun, helpful, inspiring, teachers, tools, useful, web2.0. Bookmark the permalink. Wow! Thanks for all the great resources. Pingback: Top 10 in 10 Series: Web 2.0 Tools 5/10 | It’s All About Learning | Love to read, love to learn! This looks fabulous and inspires me to keep learning. Thanks for sharing this resource.